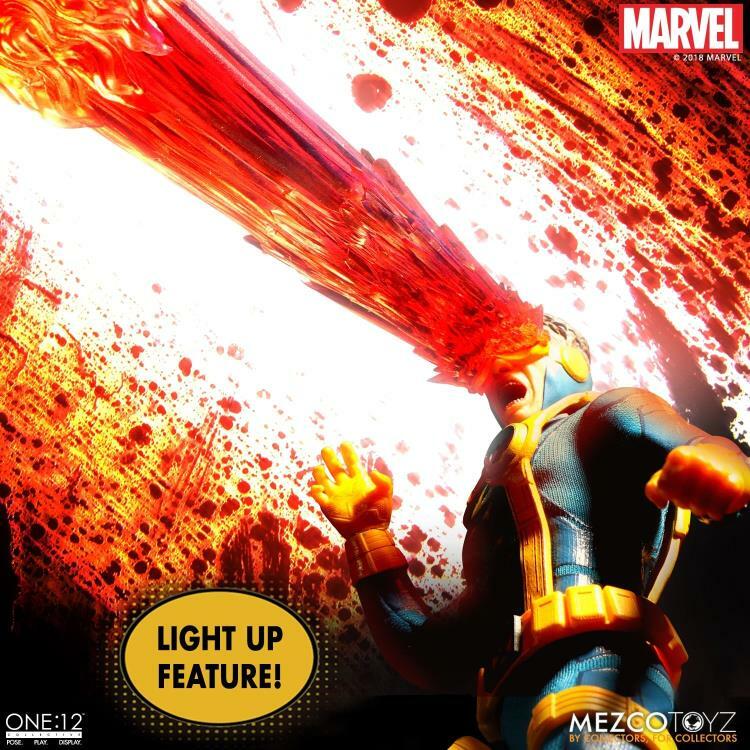 The One:12 Collective Mezco Cyclops features a light-up optic power function that illuminates his signature ruby-quartz visor, containing the uncontrollable energy blasts from his eyes. The born leader and gifted hero is outfitted in an aramid fiber x-suit with a utility belt and harness, and a removable leather-like jacket. 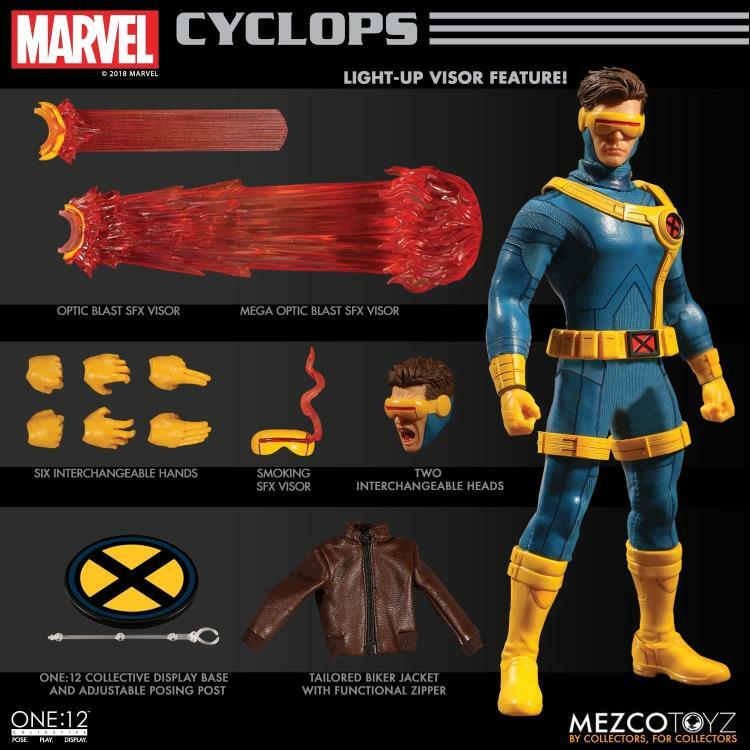 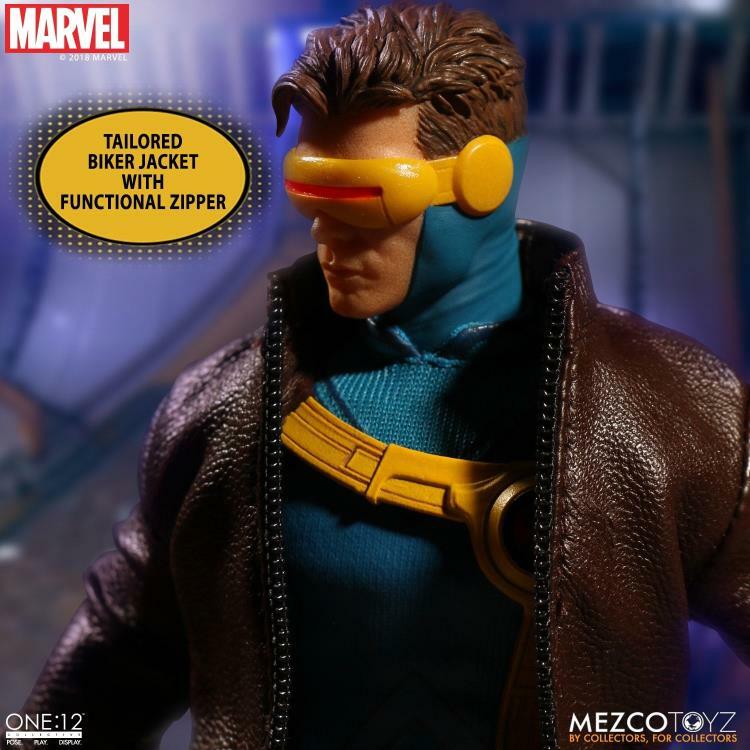 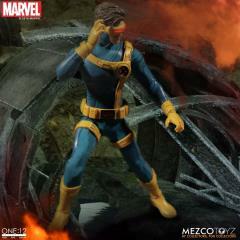 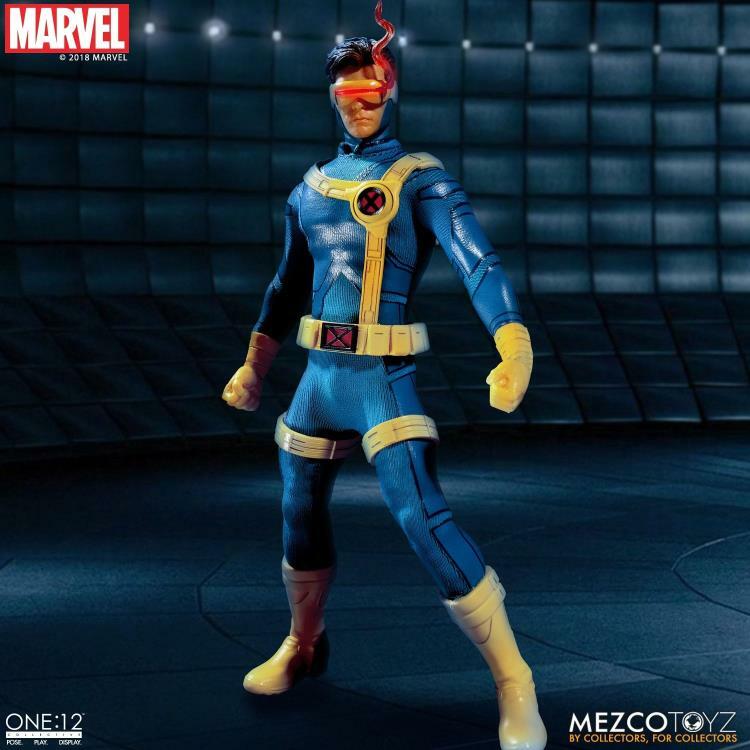 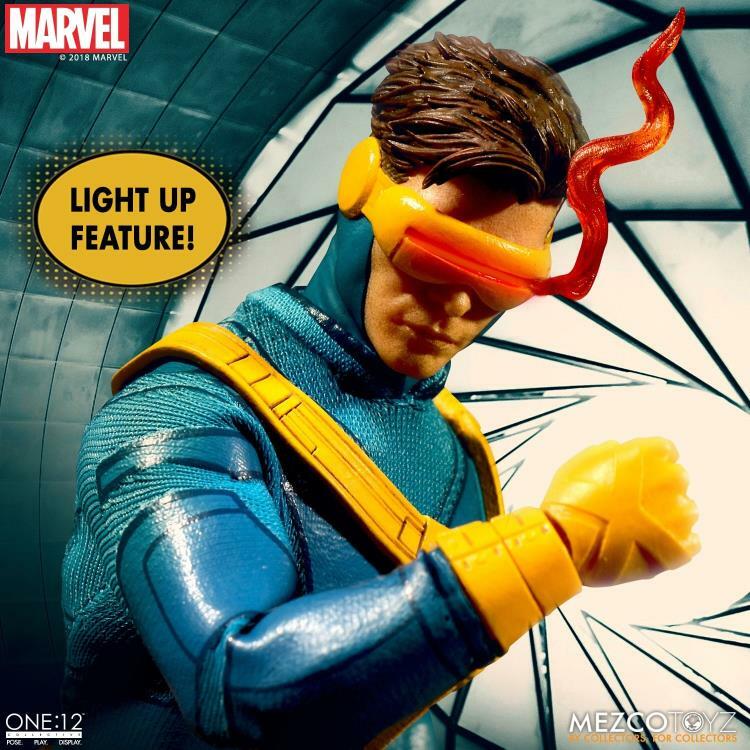 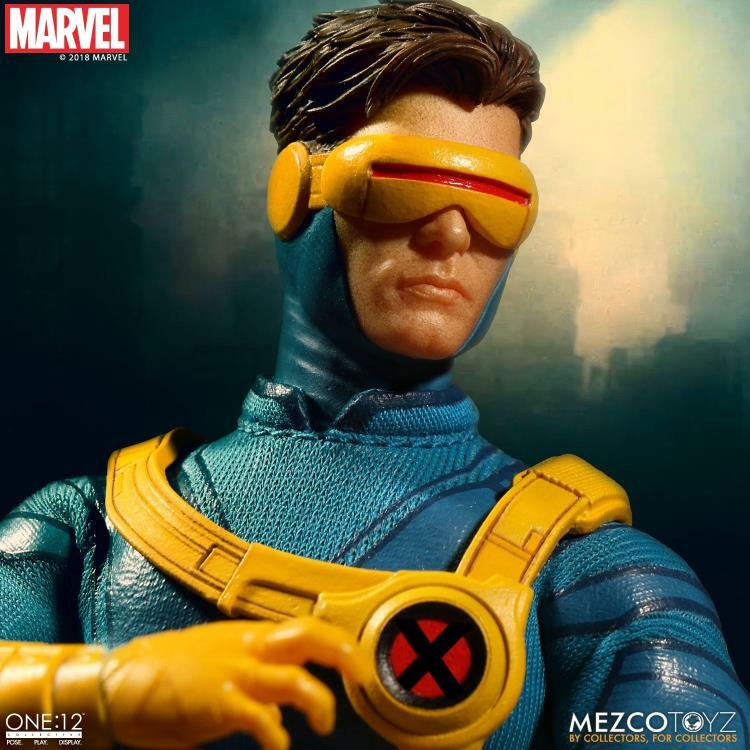 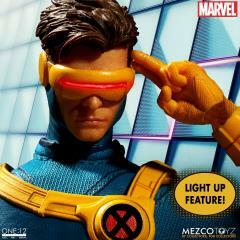 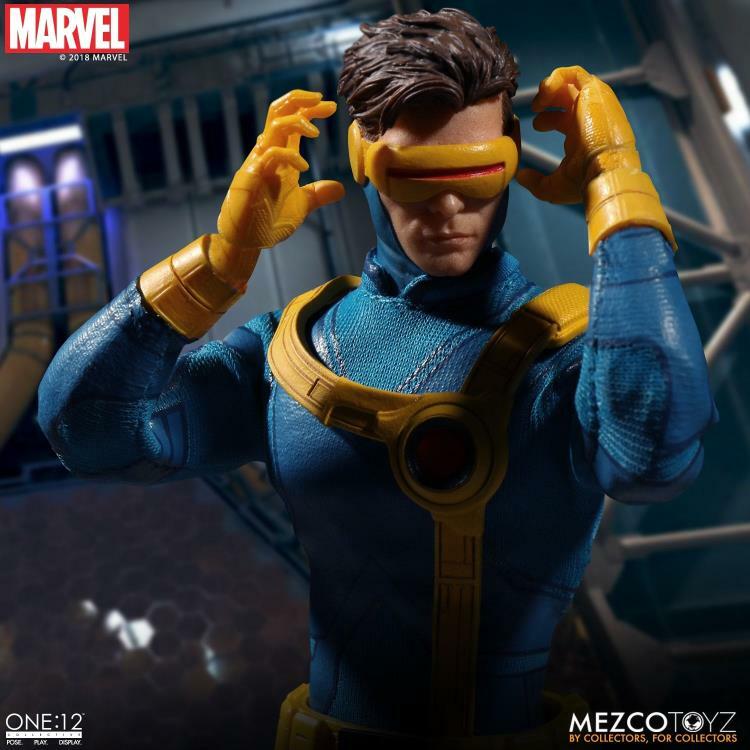 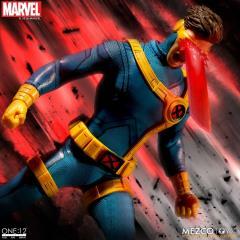 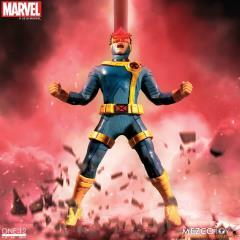 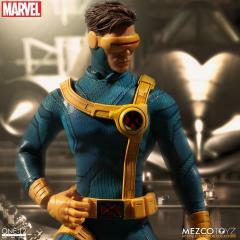 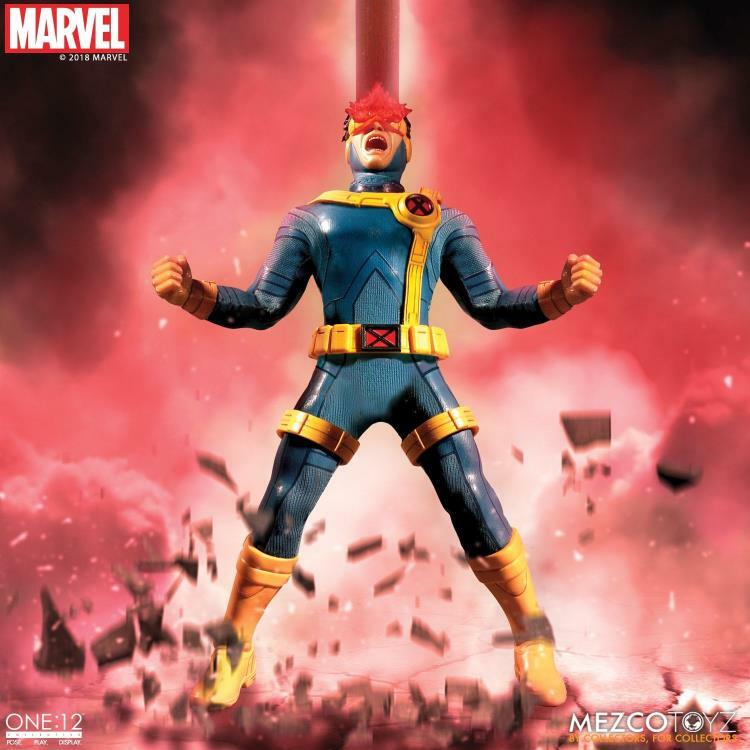 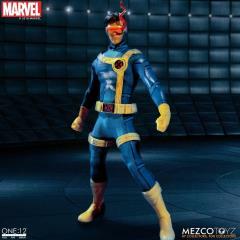 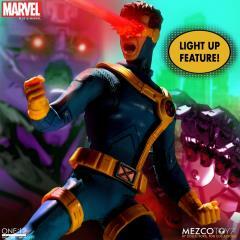 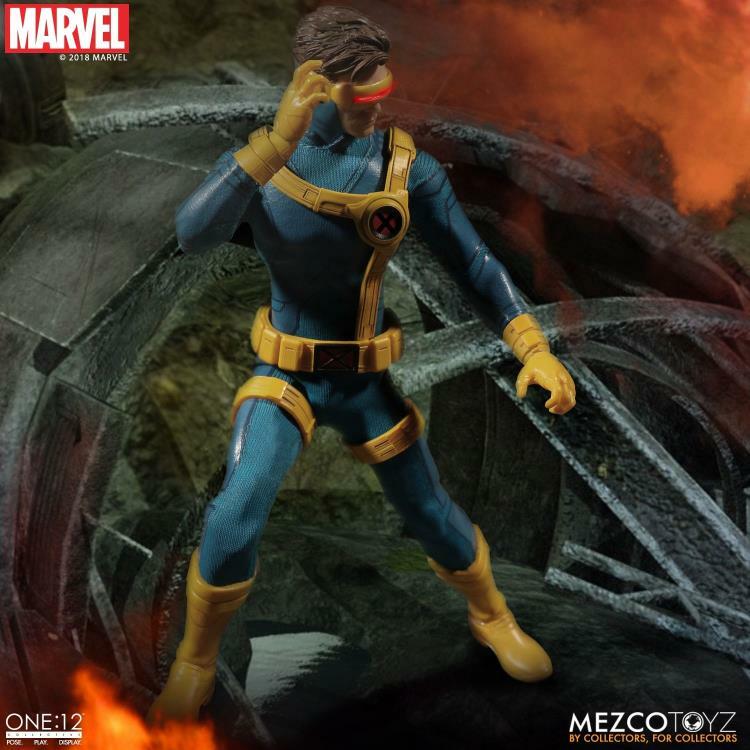 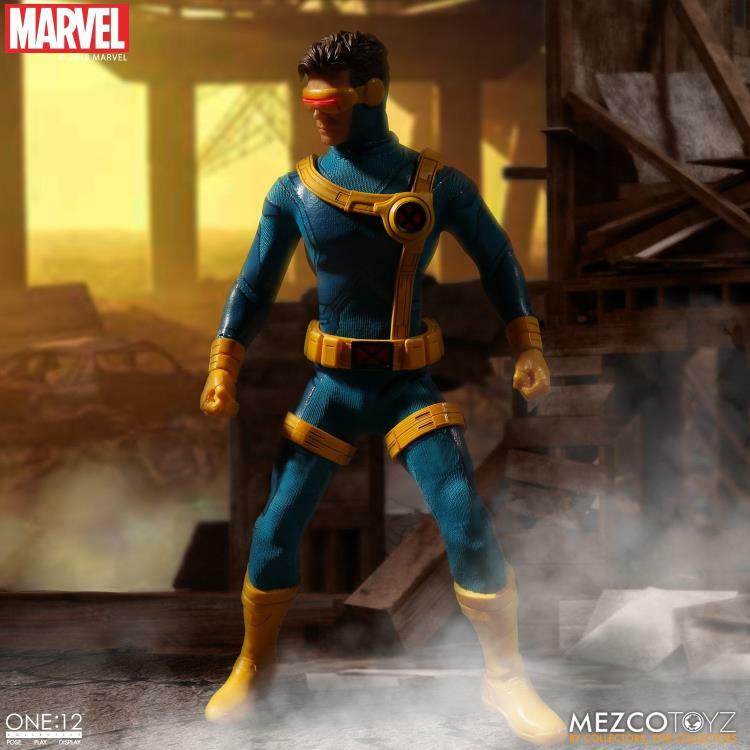 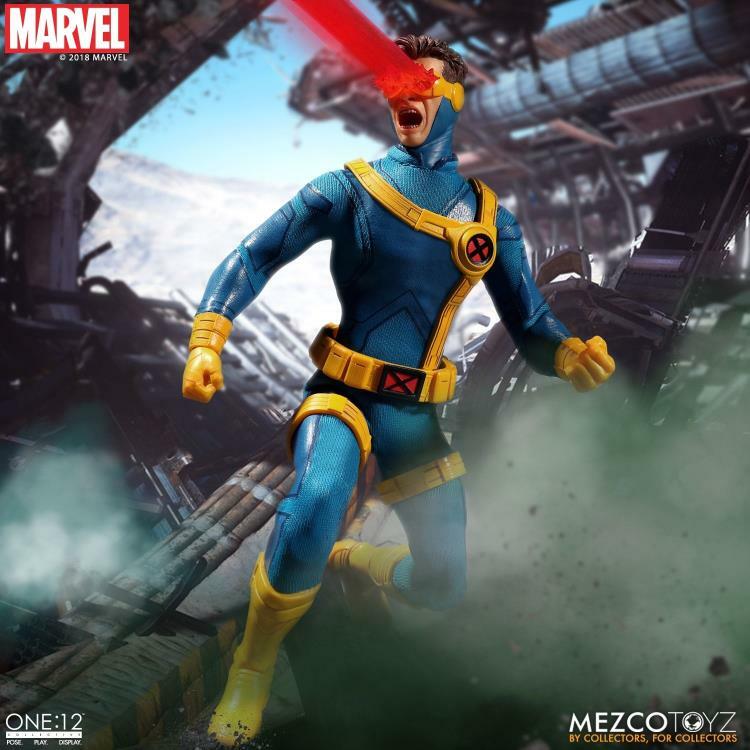 This Cyclops action figure comes complete with a range of visor effects that light up when affixed to either head portrait, reflecting his devastating mutant abilities.